The result? Customer complaints and two trips for your drivers. The outcome? Unhappy customers who go online to complain. 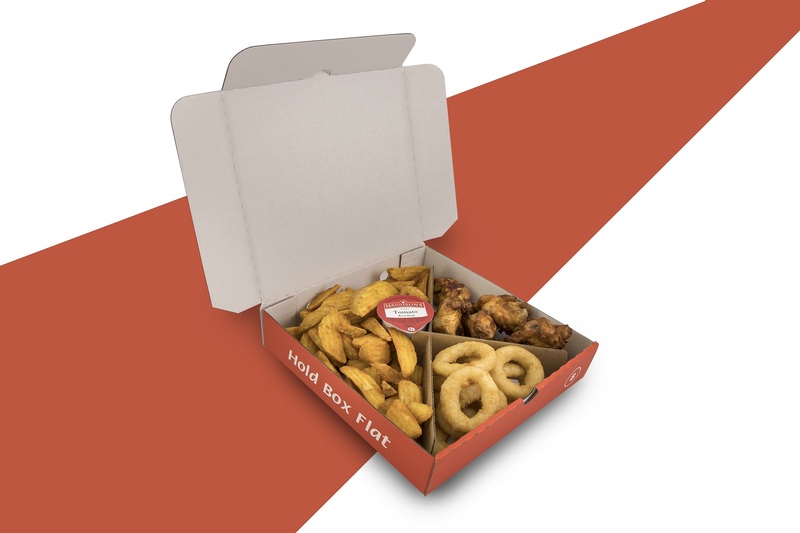 ✔ Small side orders of limited value use up box after box. The sum total? Packaging costs that go up and up and up. Here’s how we’ve tackled the above problems, one by one. Cut costs. Boost profit margins. 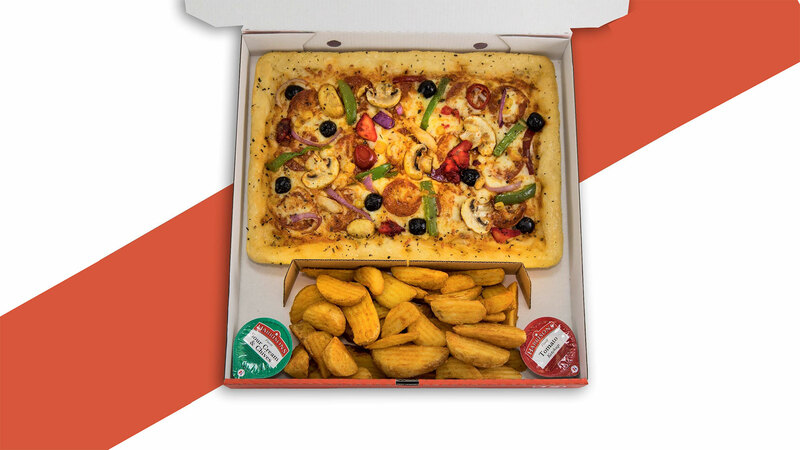 The Pizza Box Divider provides a boost in profits on each box of food by 100 – 130%. Save money by using less boxes. 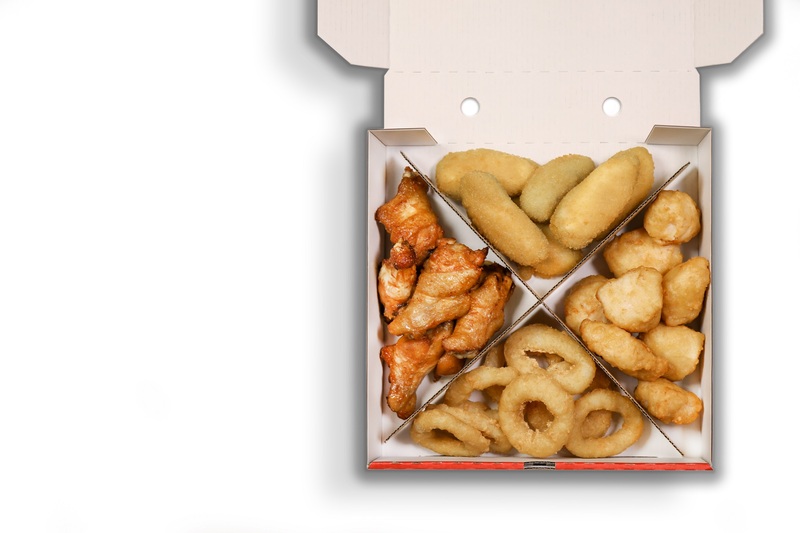 (Use fewer boxes, by packaging more food, together). 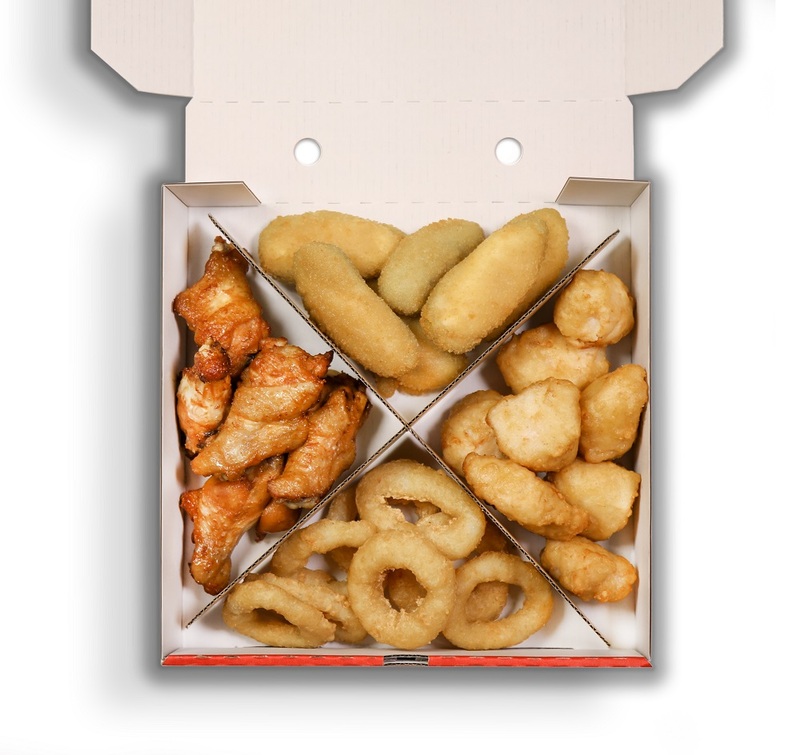 More choice for customers who can mix and match their very own side order combo. 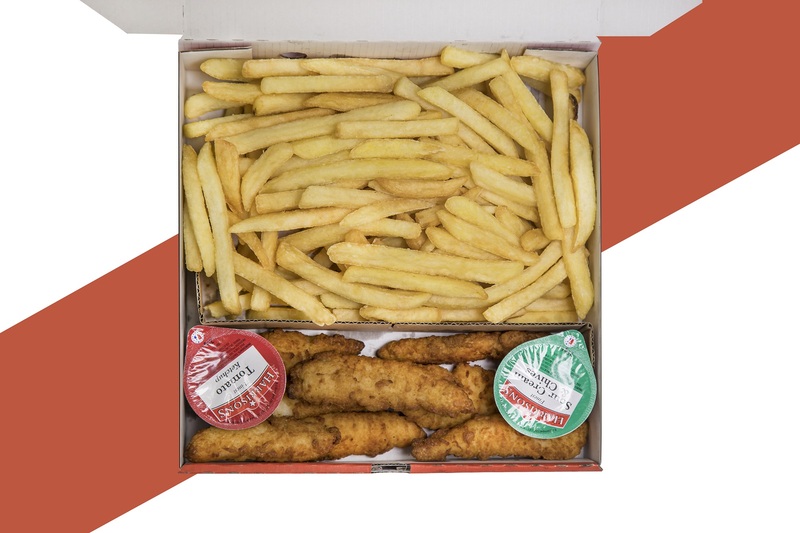 The empty spaces in your boxes mean that your food gets cold more quickly than it should, buy using divider Food will arrives hotter. 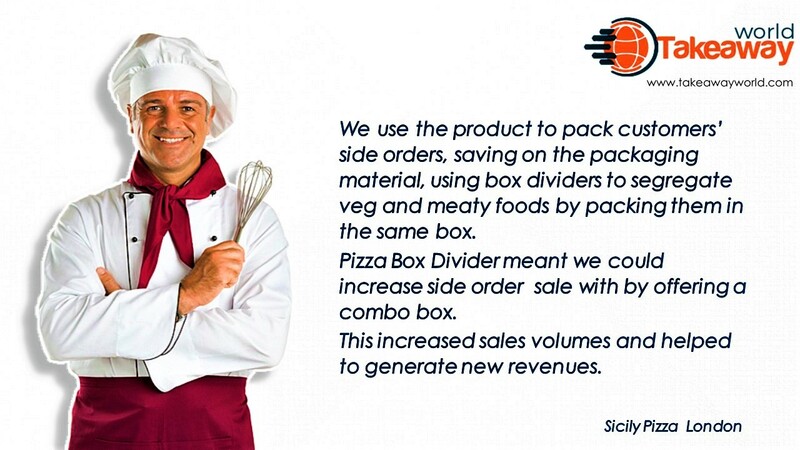 An increase in the cross sales of side orders. 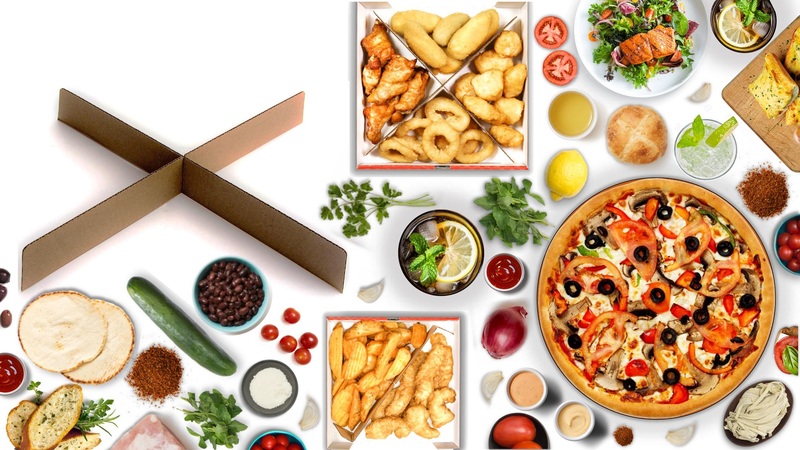 Compete with sharper price points on your menu. Reduce the incidence rate of partially complete orders. Splash you’re branding on each sleeve. Split veggie and meat foods effectively. Run promos on starter mix and match boxes. 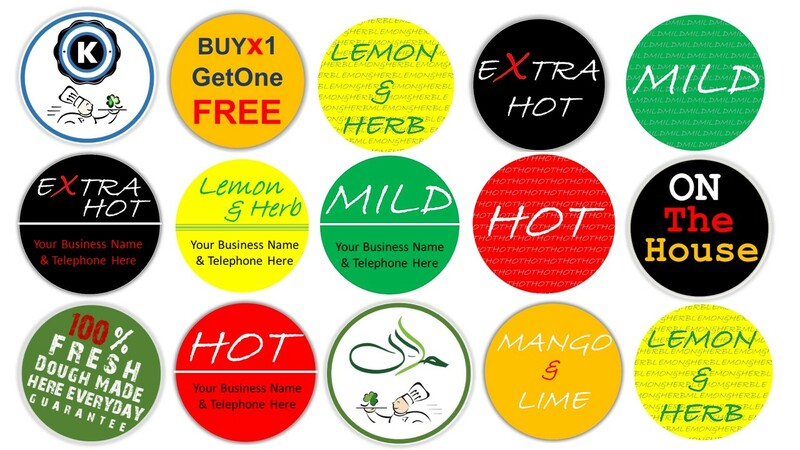 The round stickers are small in size, measuring 3.7cm (37mm) in diameter. 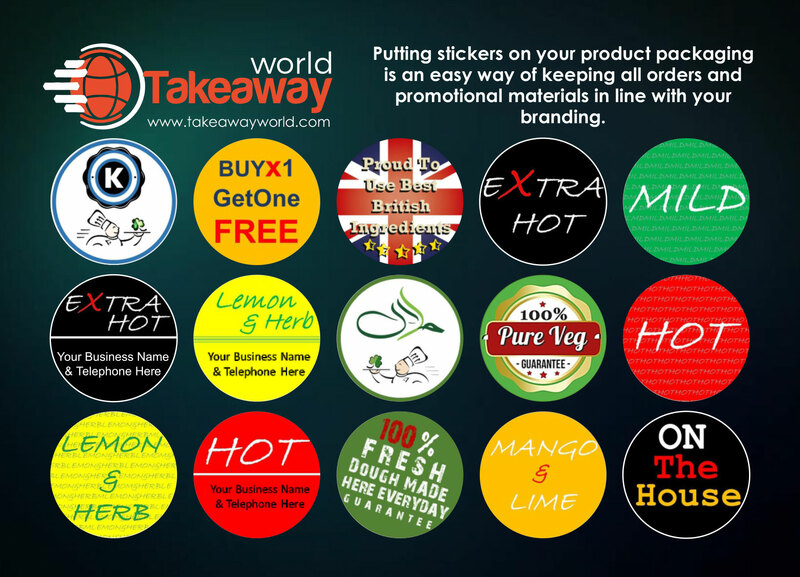 They are ideal for handing out to promote your business, especially for SEALING Wraps and Burger papers. 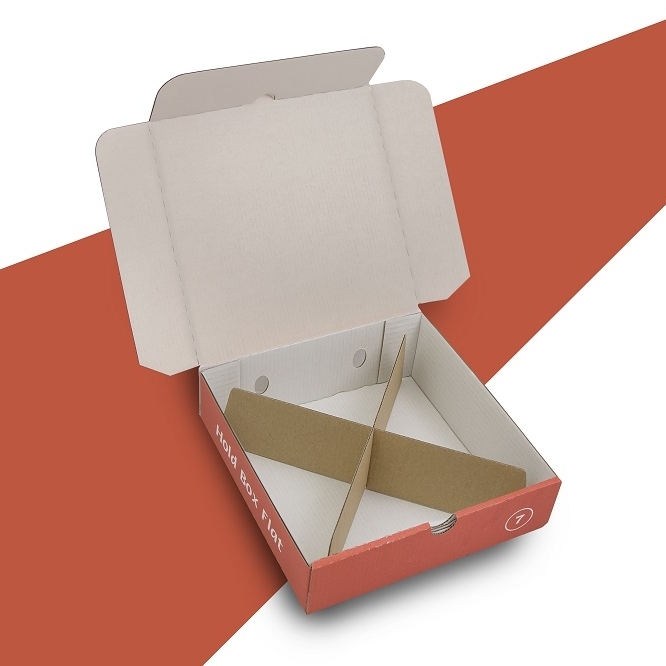 Also you can MARK your boxes, Aluminium Bags or brown bags as well. Add another layer to your brand by having your name spotted everywhere! As serial inventors, we are obsessed with everyday frustrations and needs. As a company, we are defined by innovation, and problem resolution, through the simplest of products.